Our temple is growing! How lucky we are to be located in Lorain County near neighborhoods like Avon, Avon Lake & Westlake, which are among the fastest growing in Ohio! How wonderful it is to see all the new faces at our children’s programs! Families will appreciate the changing table in the restroom and a private place for nursing moms. When your little ones need a break during Friday night services, take them to the playroom immediately behind the sanctuary and you can still hear the service. Plenty of toys and books will be available for you to use. After the service, join us for refreshments where you will find snacks for the kids as well as several high chairs for you to use. Celebrate: a Preschool monthly class for West Side kids and parents. Connect with other moms, dads, & families to celebrate Jewish holidays. 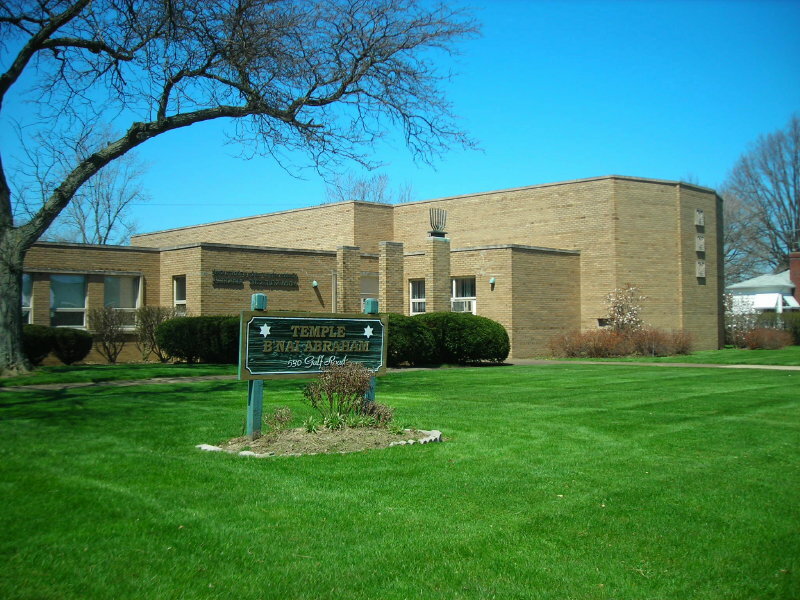 This program is sponsored by Temple B’nai Abraham with generous support from a Shoresh grant thru the JECC (Jewish Education Center of Cleveland). See calendar on front website page for dates and times. Tot Shabbat: a fun, educational & musical program for our little ones. Parents and children will learn the blessings over the wine, grape juice and challah together as a community. It is a perfect time to listen to a new PJ Library book, meet new friends and enjoy spending Shabbat together as a family at Temple. Fun crafts and new songs will vary around the holidays during the year. Tot Shabbat is held an hour before Family Fridays and will include a pizza dinner for any families that RSVP ahead of time! Family Fridays! : Kids take center stage, literally! Held monthly, all of the children of the Temple are invited to participate & help lead the Friday night service for the entire congregation. Our kids stand in front of the group, read aloud, and share new songs & blessings from Sunday School. Our Sunday School parents decided to make this a part of the curriculum since the kids love it so much and it also helps prepare them for their B’nai Mitzvah. It is a fun night and a great Oneg is always held afterwards.